Preorder Your Copy of <i>Enchantée</i>! Preorder Your Copy of Enchantée! 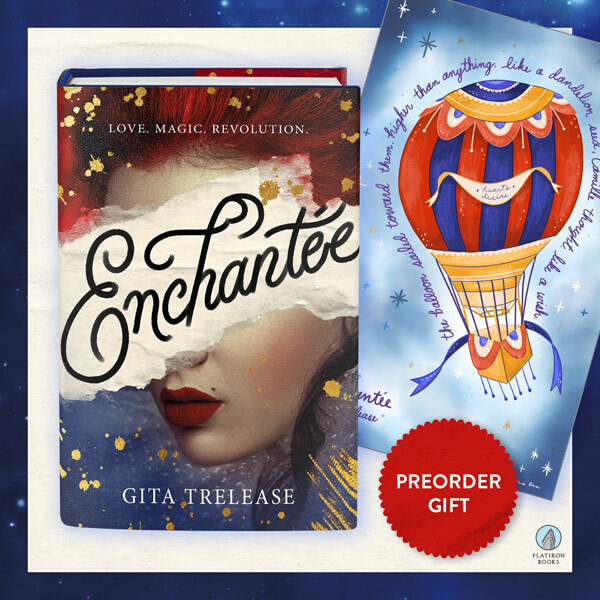 When you preorder Gita Trelease’s highly anticipated debut, Enchantée (available 2/5/19), you can receive an exclusive hot air balloon print (11"x17")*. Simply upload your preorder receipt from your favorite retailer and fill out the form.